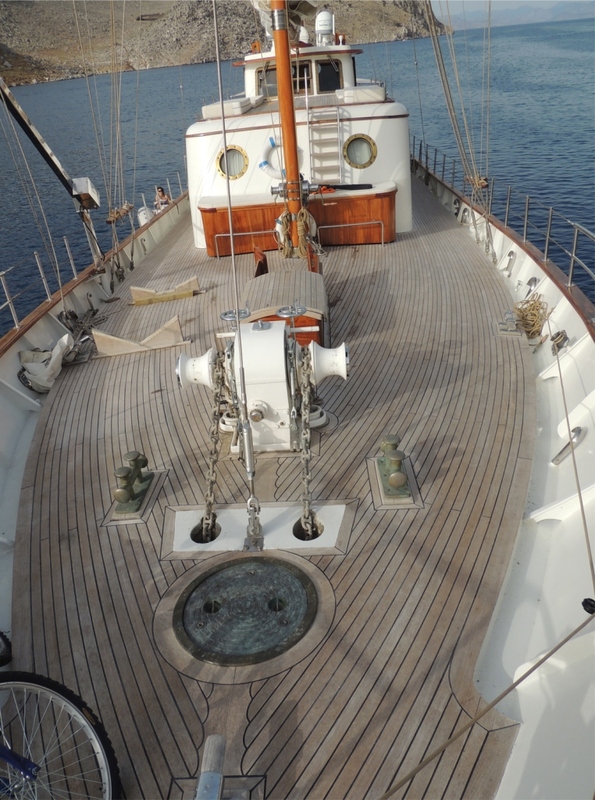 Sailing yacht NOSTROMO is a 29m (90') luxury Ketch built by De Vries Lentchl of Holland in 1951, she underwent an extensive refit in 2013. 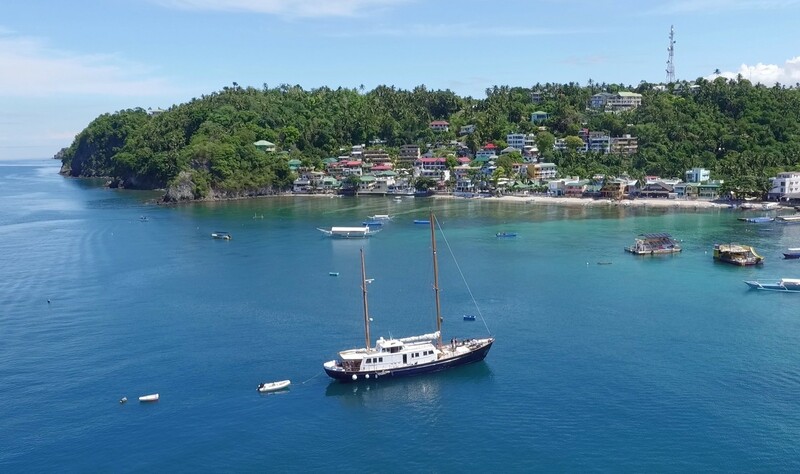 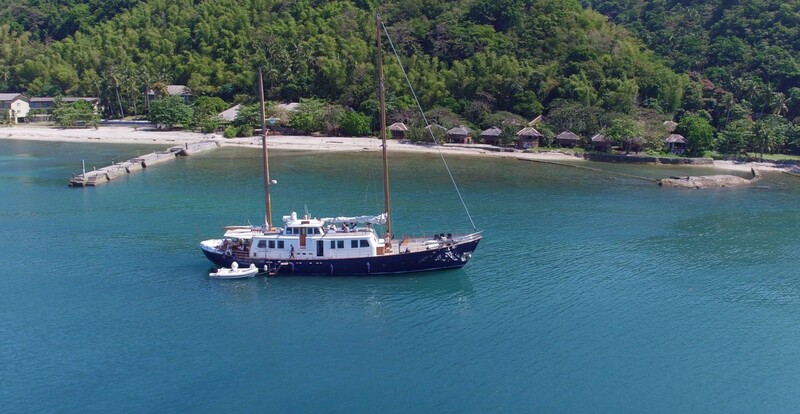 Yacht NOSTROMO charters throughout the Philippines, Manila, Subic, Boracay and Palawan regions. 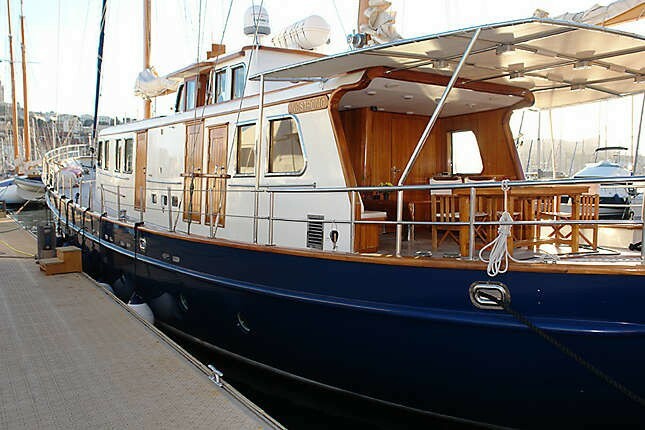 Motor Sailor NOSTROMO features a classic hull design and luxurious interior. 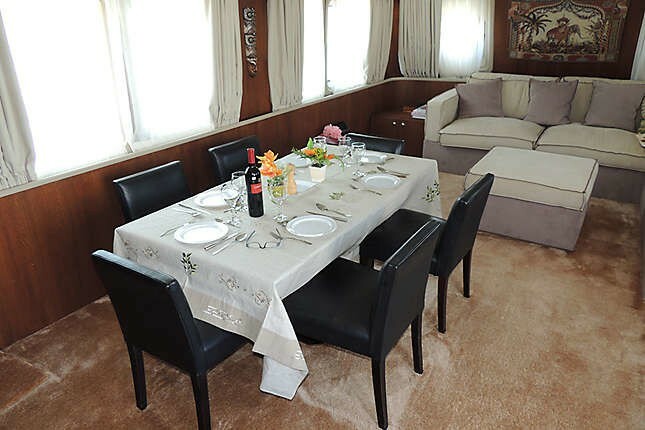 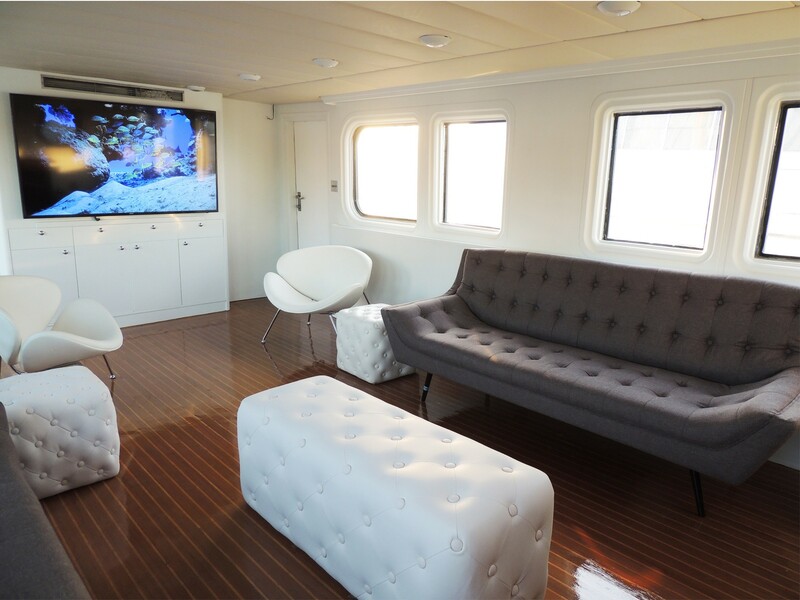 Her open plan salon boasts a large and comfortable L shaped sofa in the lounge area and opposing formal dining table, easily accommodating 8 charter guests for relaxing or dining. 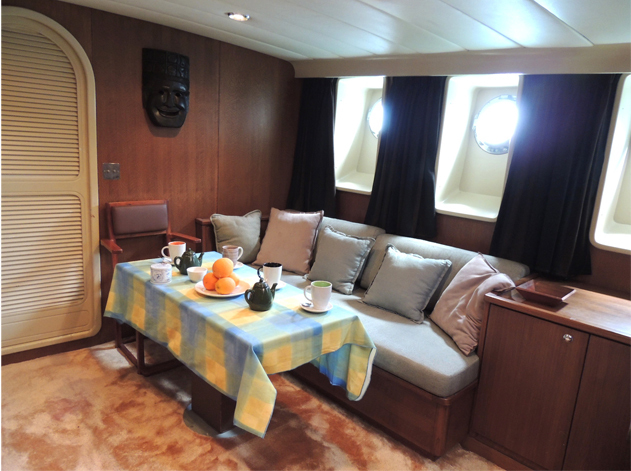 A further more casual dining area below decks seats four. 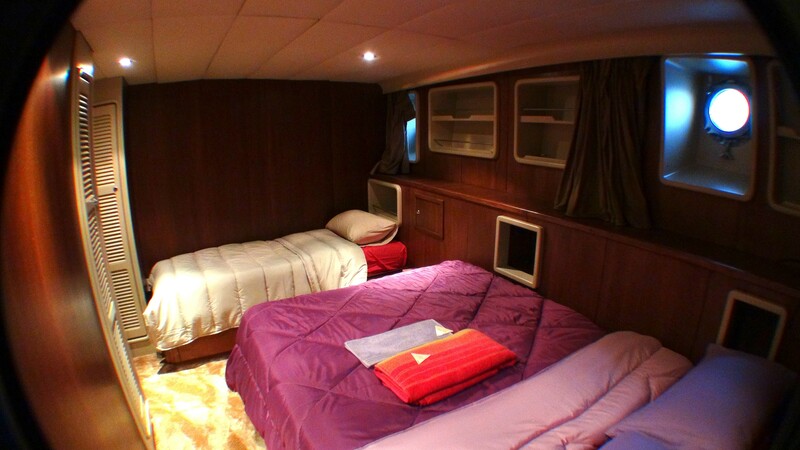 S/Y NOSTROMO is fully air conditioned for optimum guest comfort. 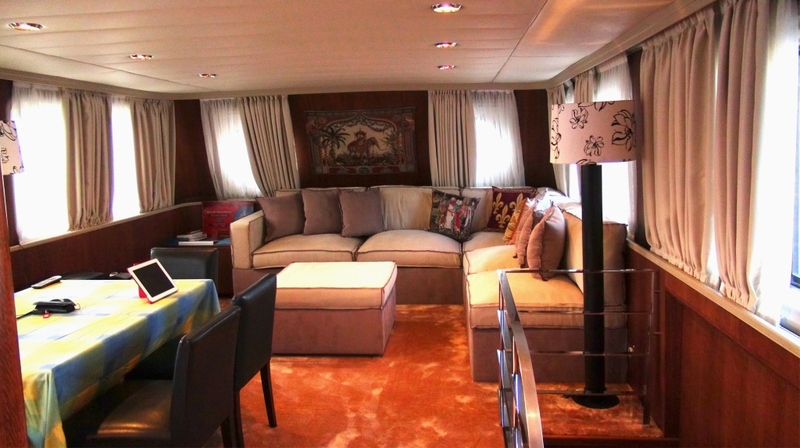 Deluxe carpets and plush furnishings create a welcome and elegant ambiance. 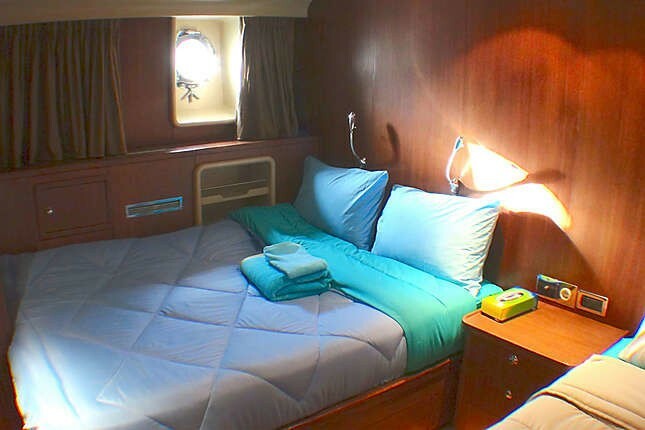 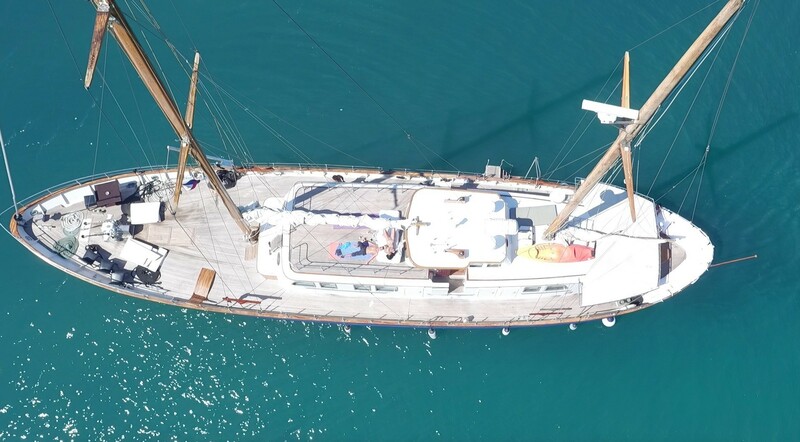 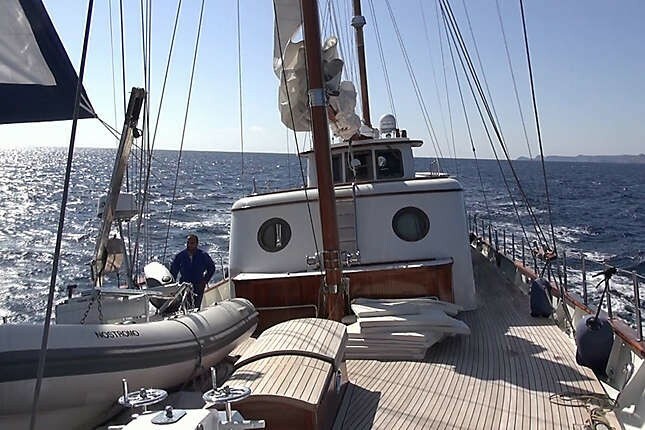 Guest accommodation aboard the sailing yacht NOSTROMO is in 3 cabins, including a Master cabin located forward with a king size bed and desk, two twin guest cabins with two queen beds and a single bed, each with private en-suite facilities and electric toilets. 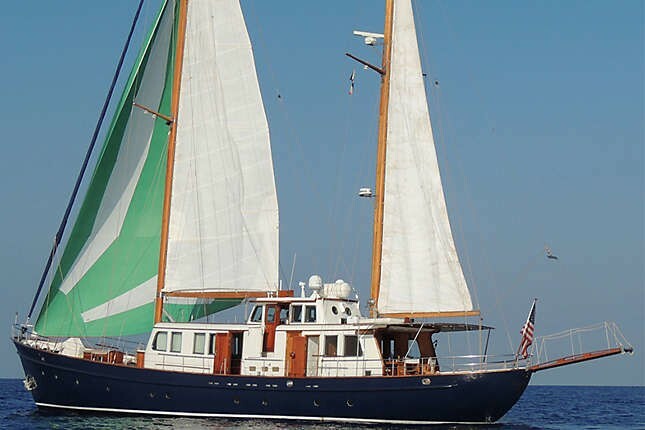 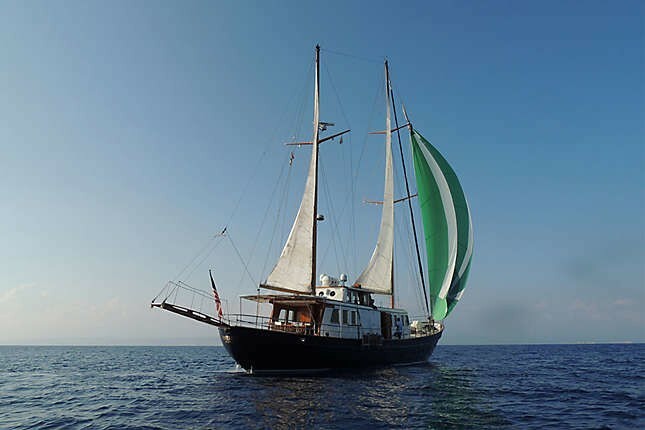 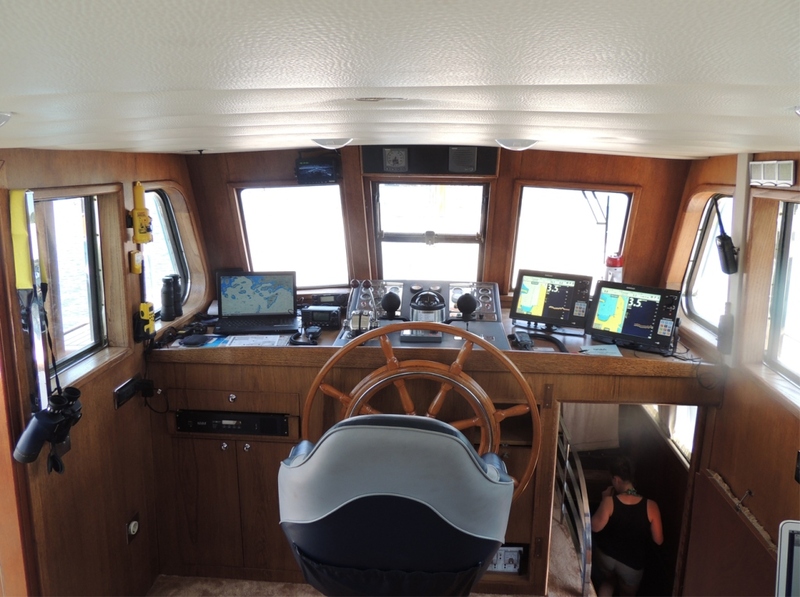 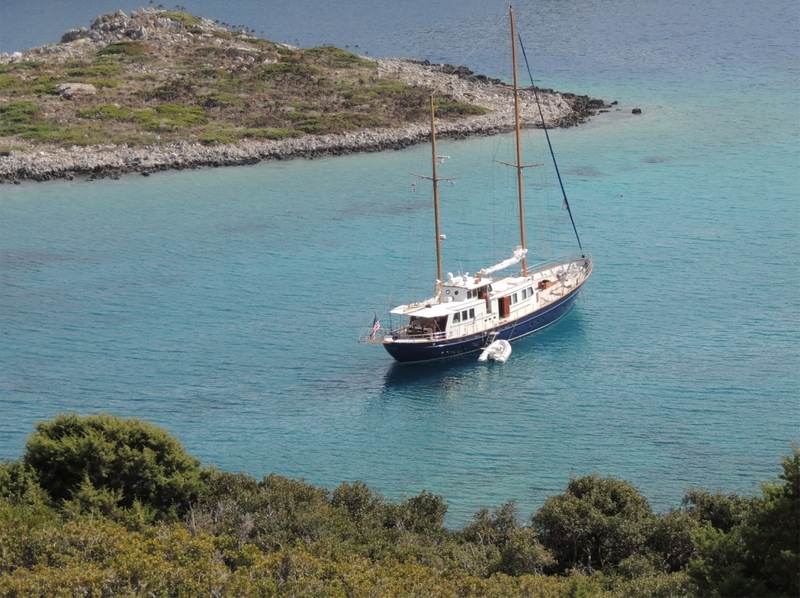 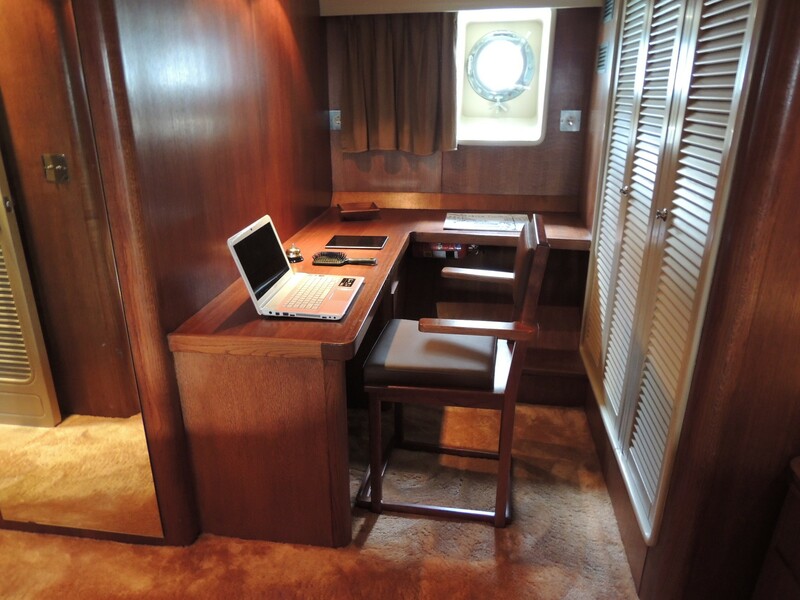 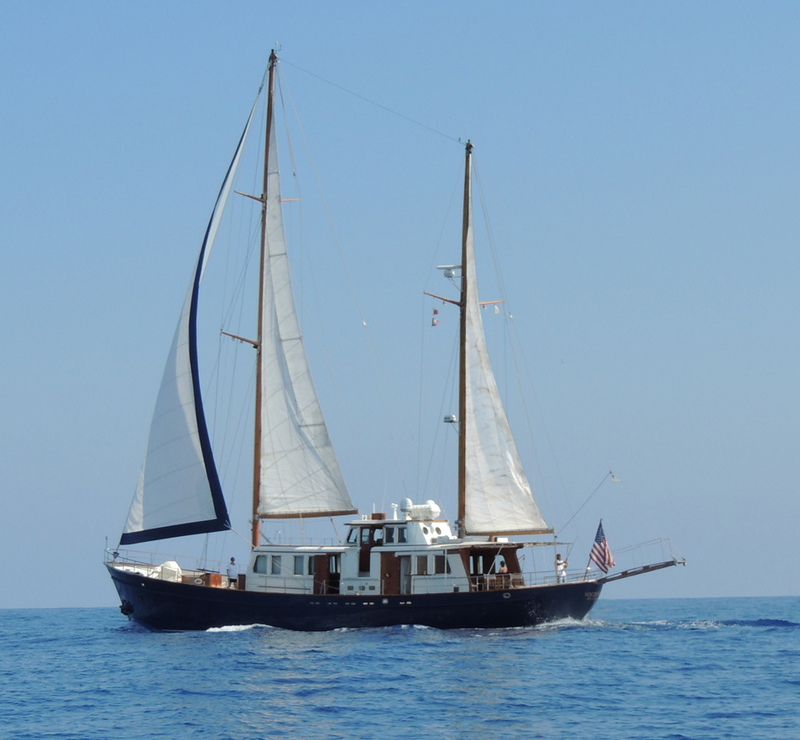 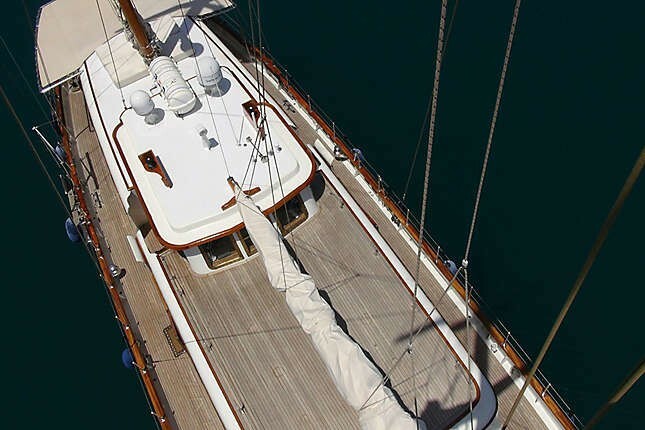 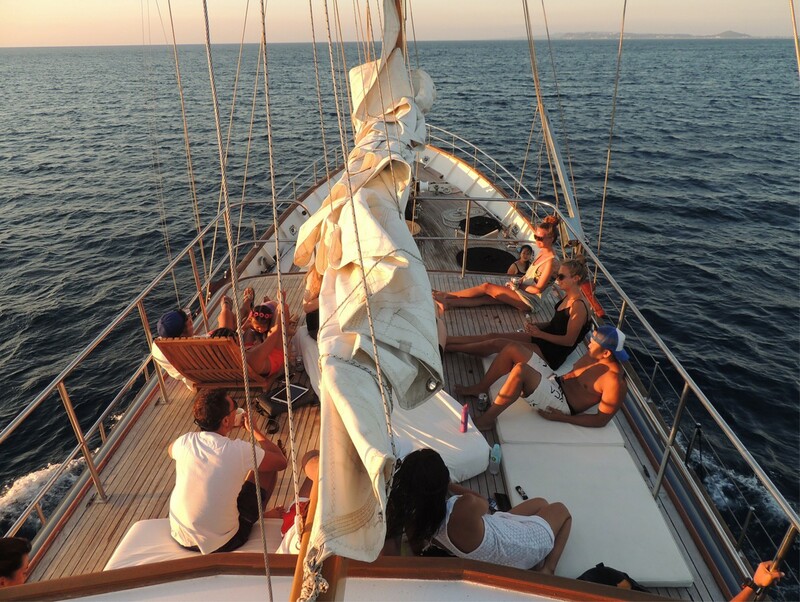 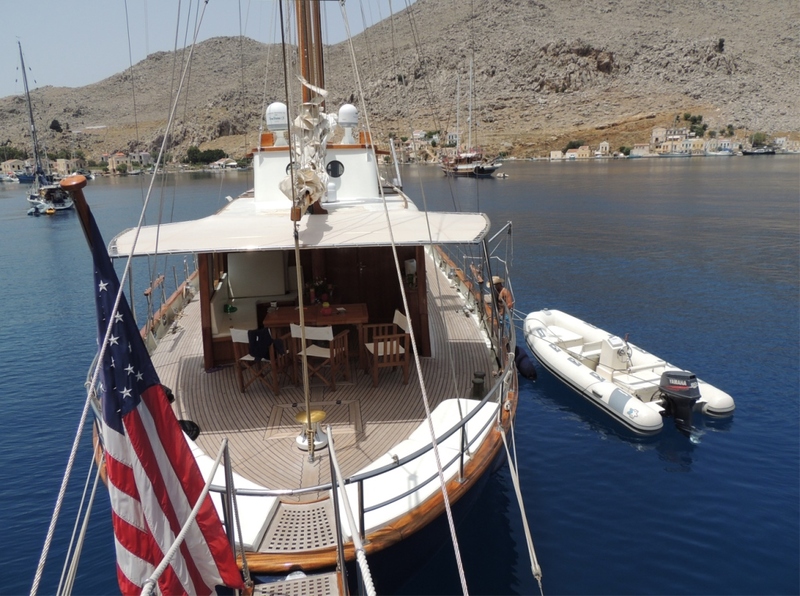 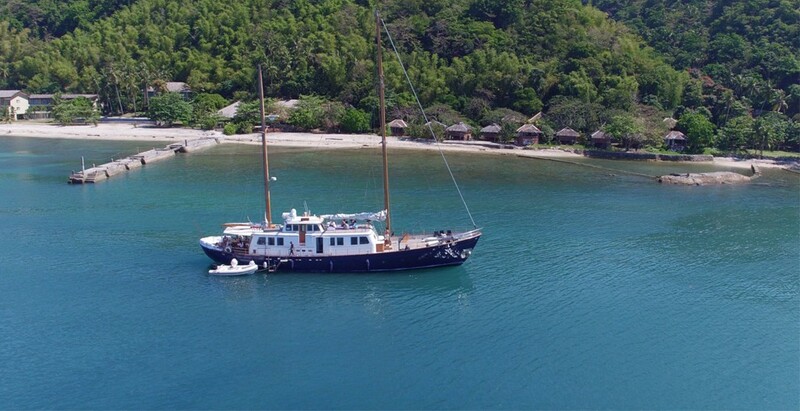 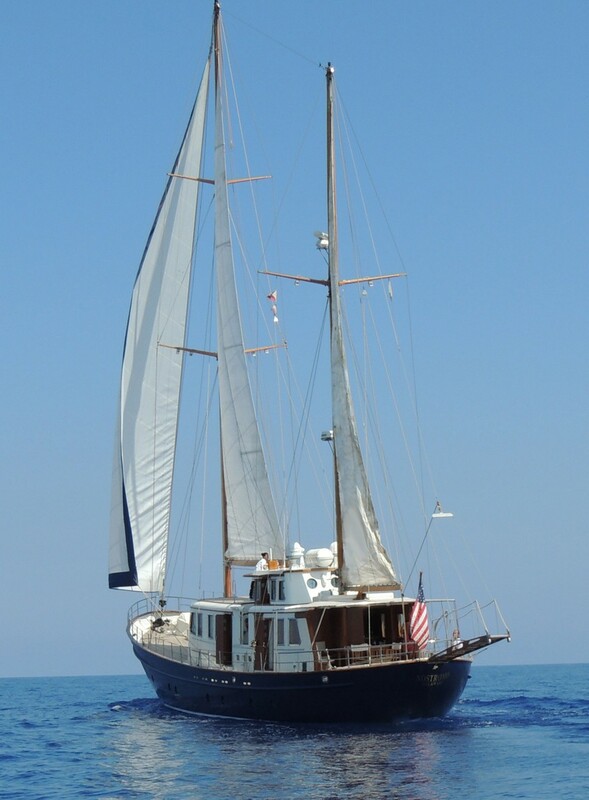 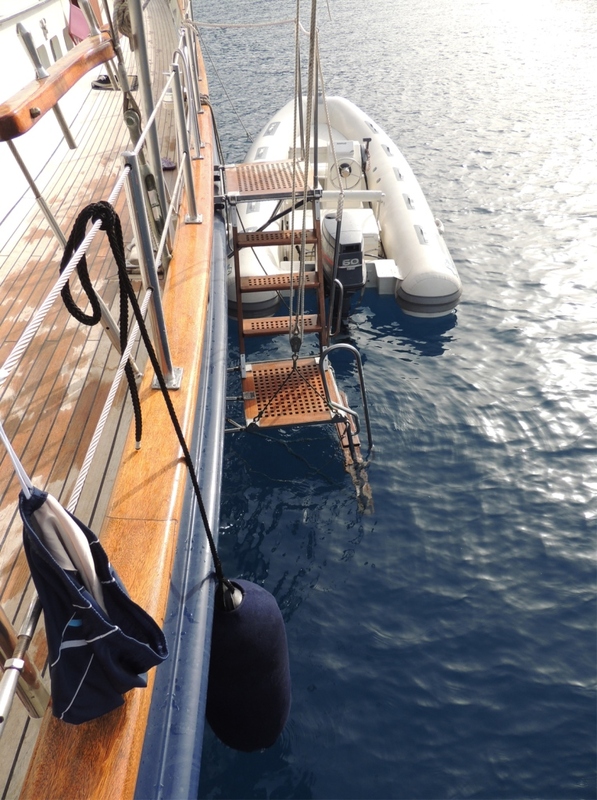 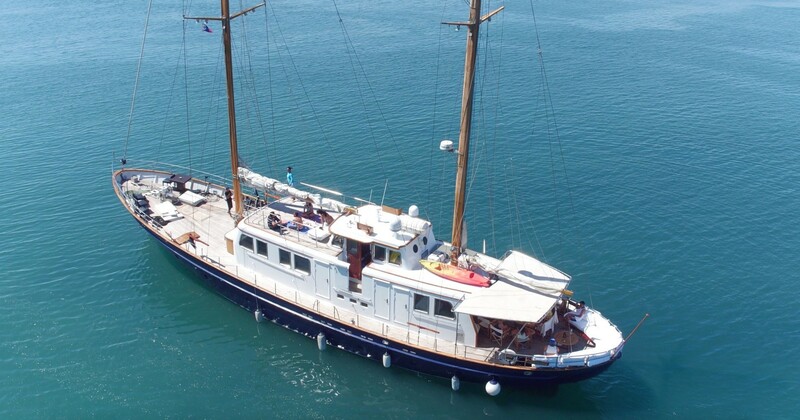 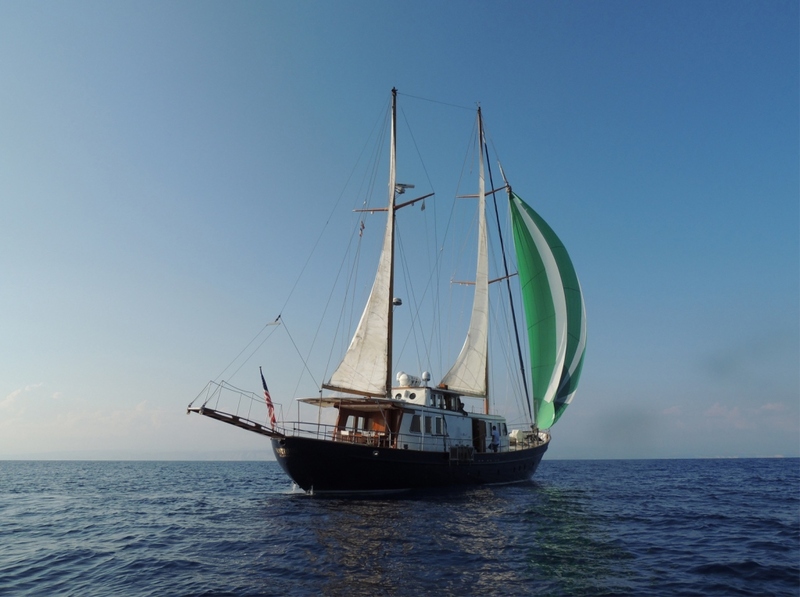 Crewed charter yacht NOSTROMO has ample exterior living on luscious teak decks. 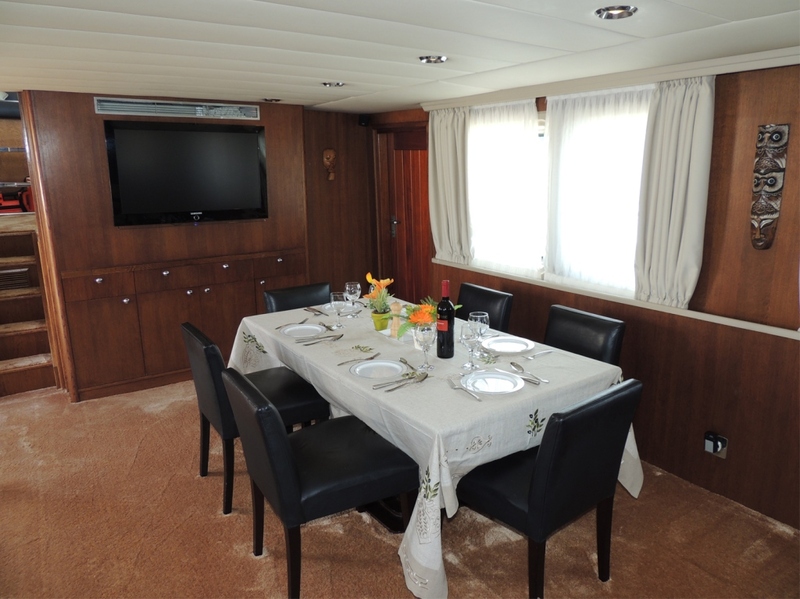 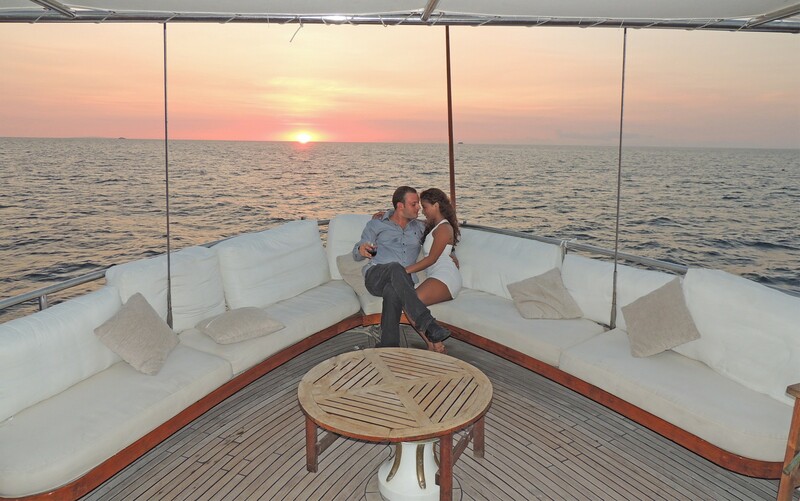 The aft deck features optional shade, plenty of seating and an alfresco dining table. 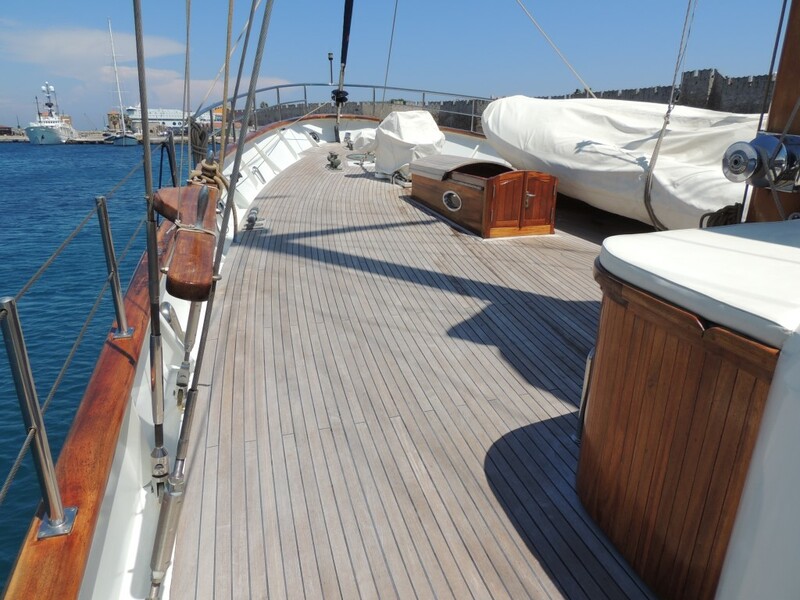 The main decks wraps around the yacht, leading to a generous foredeck, perfect for soaking up the East Mediterranean sun. 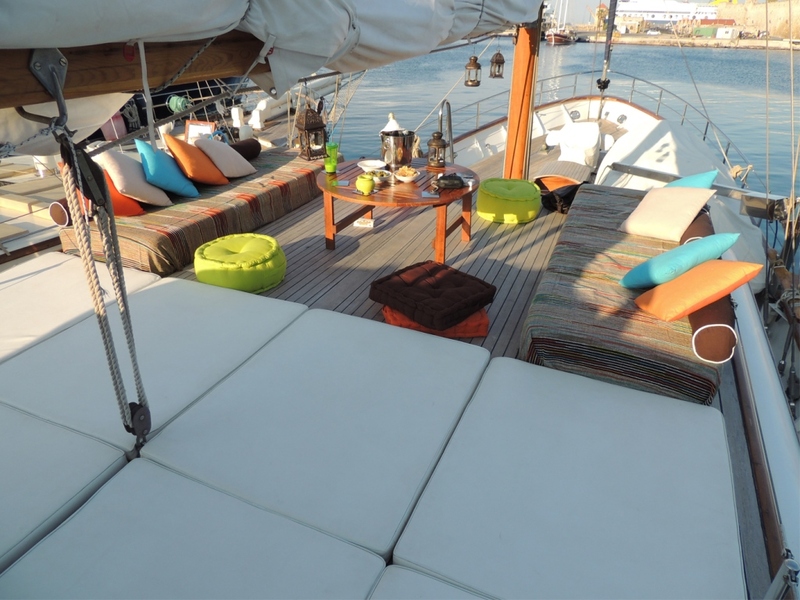 A further sunning area boasts full sunpads on the cabin house. 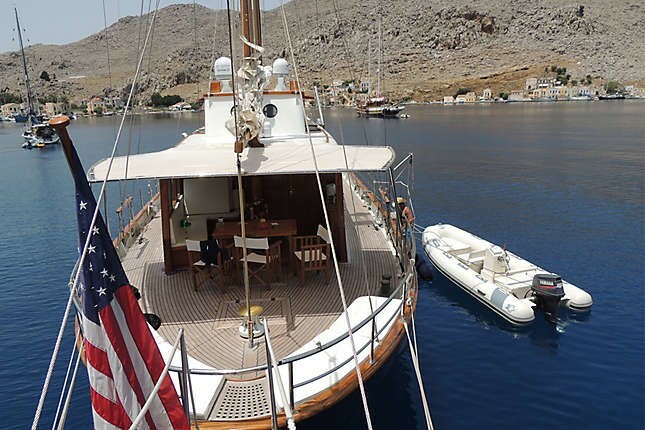 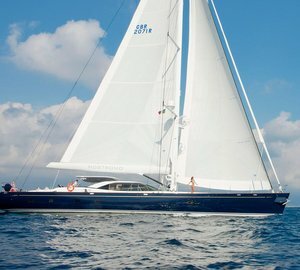 Sailing yacht NOSTROMO is able to sleep 6 to 8 charter guests in 3 cabins including a Master cabin located forward with a king size bed, desk. 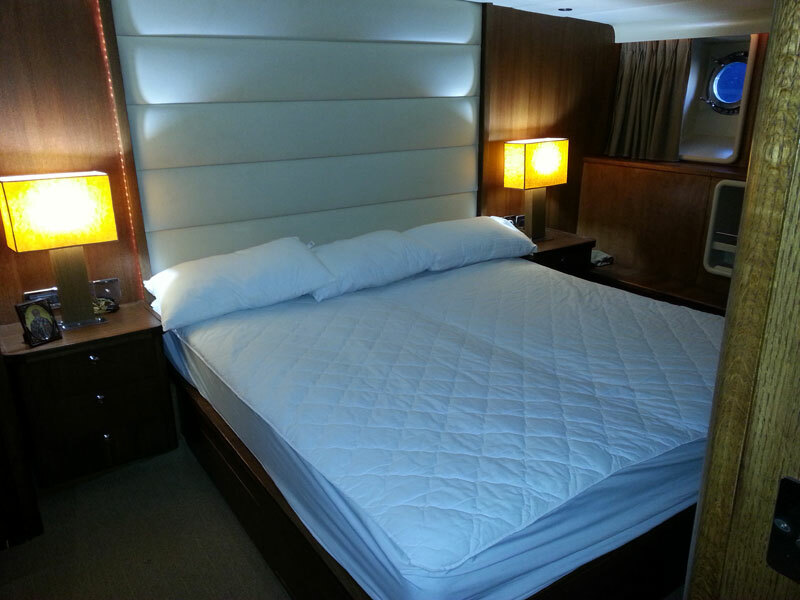 There are 2 VIP cabins with a Queen size bed and a single bed. 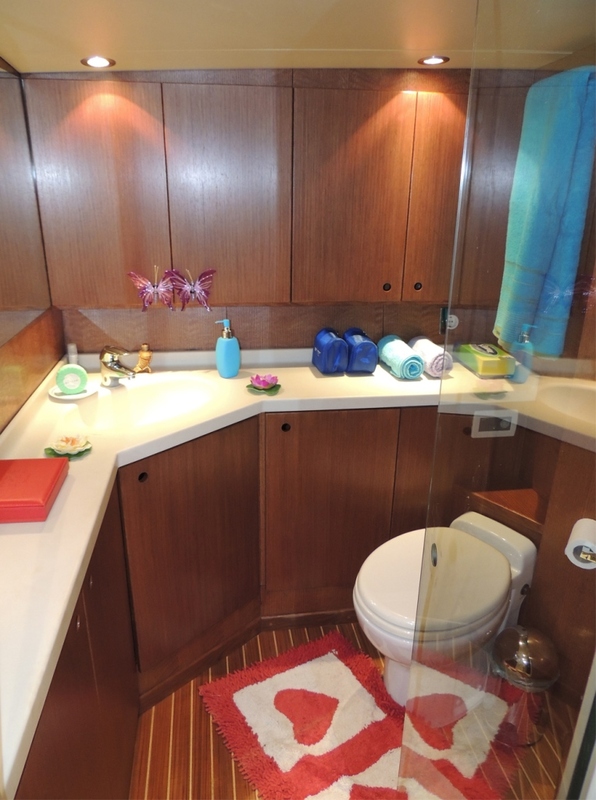 All cabins include en-suite shower and electric toilet.